With over 400 films on show, the Berlinale offers an incredibly eclectic, fun and hugely exciting blend of new cinema. 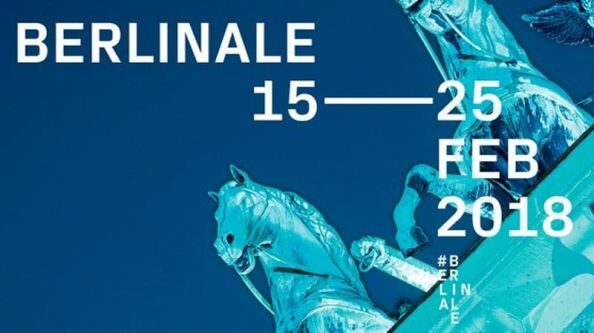 With over 400 films to screen over the next ten days, the Berlinale retains the lead as the first big European festival event of the year. The selection films presented in Competition this time round reach from high-profile premieres like Wes Anderson’s fantastical new stop-motion animated feature Isle of Dogs, which serves as the festival’s opening feature, and Gus Van Sants Don’t Worry, He Won’t Get Far on Foot , starring Joaquin Phoenix, Jonah Hill, Rooney Mara, Jack Black, and Udo Kier, to bold new works from always exciting directors such as Christian Petzold (Transit), Philip Gröning (My Brother’s Name is Robert and He is an Idiot), Laura Bispuri (Figlia mia), Lav Diaz (Season of the Devil) and Steven Soderbergh (Unsane), starring Claire Foy and shot completely on iPhone. In the Panorama section, we particularly look forward to Wolfgang Fischer’s Styx, which – nearly dialogue-free – tells the story of a female doctor on a sailing holiday gone unexpectedly sour somewhere between Europe and Africa, Idris Elba’s directorial debut Yardie, and In La enfermedad del domingo (Sunday’s Illness) about an estranged mother-daughter-relationship which looks mysterious and gorgeously shot judging by the trailer. Also worth checking out seem the documentaries presented in the Panorama section this year such as Lauren Greenfield’s latest offering Generation Wealth, the Chilly Gonzales portrait Shut Up and Play the Piano and MATANGI / MAYA / M.I.A. which portrays the controversial star between the labels attached to her by the music and media industries and her self-image as a Sri Lankan resistance artist. The Berlinale Classics section opens with the premiere of 1923 silent classic The Ancient Law, while Wim Wenders’ Wings Of Desire and Japanese master Yazujiro Ozu’s Tokyo Twilight (1957) will also screen as part of the programme. In addition, Sidney Lumet’s 1964 drama Fail Safe details the US government’s attempts to thwart an inadvertent attack on the USSR which would plunge the world into a nuclear war, and Mikhail Kalatozov’s The Cranes Are Flying (1957) marks the screen revival of one of Soviet cinema’s first international hits post-World War II.